The time has finally arrived: long-awaited Eataly will open its Century City emporium on November 3. Angelenos first heard word the New York-based market would come to L.A. back in 2014, and the wait is finally over. The market will take up three floors of space and feature four restaurants, butcher and cheese counters, as well as walk-up options for pasta, pizza, and bread, according to the L.A. Times. One of the counters will rotate its chef, and first up is Jason Neroni of The Rose Cafe in Venice. Eater reports future chefs will include Neal Fraser and Walter Manzke. Another big-name L.A. chef will set up shop in Eataly: Michael Cimarusti of Providence. He&apos;ll be starting a seafood restaurant called Il Pesce Cucina, which will focus on offering sustainably-sourced seafood, according to the Times. The market will also offer Lidia Bastianich cooking classes and will be the only Eataly in the U.S. with outdoor dining options (the other U.S. locations are in New York, Chicago, and Boston). Eataly isn&apos;t complete without an actual market, though, and the L.A. location won&apos;t disappoint. 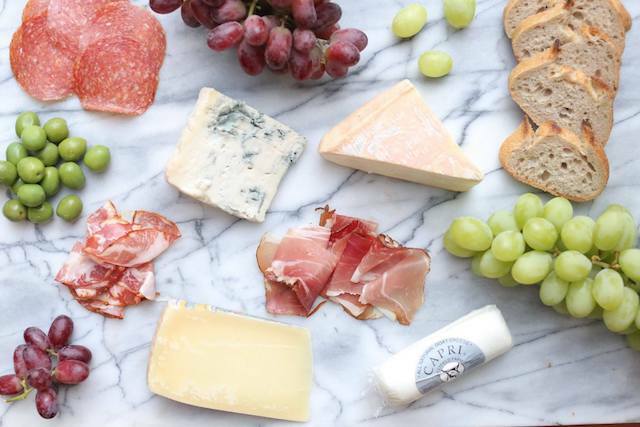 Over 2,000 imported Italian products will be for sale—from cheese to wine to salumi to olive oils. It will also be the first Eataly to sell American wine, according to the Times. Eataly got its start in 2007 when founder Oscar Farinetti opened the first marketplace in Turin, Italy. It has since grown into a worldwide phenomenon, boasting over 31 locations. Next stop in the U.S.? Las Vegas. Considering the success of new restaurants like Pizzana and Rossoblu, and the expansion of Jon & Vinny&apos;s, it&apos;s clear Angelenos can&apos;t get enough Italian food. Eataly L.A. will located at Westfield Century City Mall, 10250 Santa Monica Boulevard. Second floor hours will be 8 a.m. to 11 p.m. daily; third floor hours will be 9 a.m. to 11 p.m. daily. The first floor will hold the cooking classes; its hours have yet to be released. (213) 310-8000.